← Force Tip of the Day: What are the Main Determining Factors of Card Value? After 10 exciting and grueling weeks, the first award cards for the app have been released, and I know people are chomping at the bit to be able to find out the rest of the awards as well. 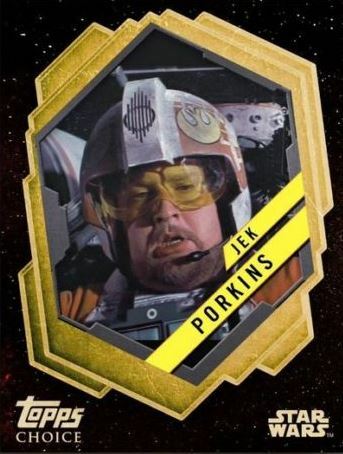 So far, we have seen Vintage, Widevision, Connections and Topps Choice get handed out, with Galactic Moments and a few others still to come. Here are some of my thoughts on how they turned out. 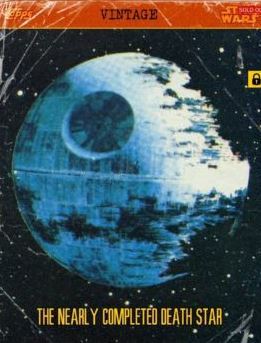 I cant even begin to tell you how long I have waited for a Death Star card. Although we have gotten a few cards that reference it, and a Shred Award card that features it’s destruction, this is the first that really hits it out of the park. At 661 its a little higher than expected, but you can imagine that any active account that had a Vintage Han did what they could to get the set, so its not too hard to believe. Easily the best award card of the bunch. Another sweet card for a set that was very difficult to complete. 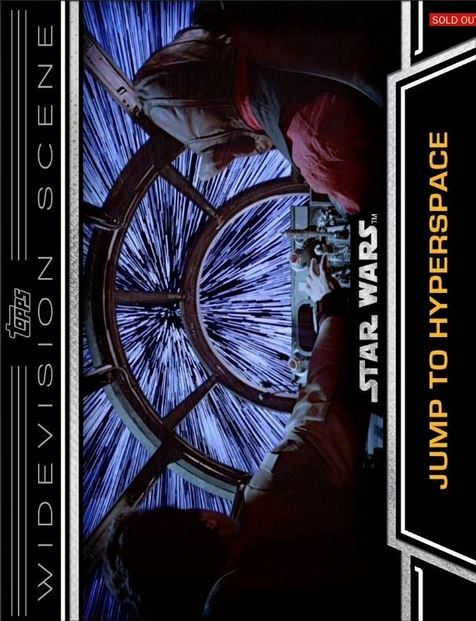 The “Help Me Obi Wan” Widevision card had been climbing in value over the last few weeks as people scrambled to build the set, and like we saw with the Vintage award, its going to be expected that everyone that had it was trying to get all the cards. 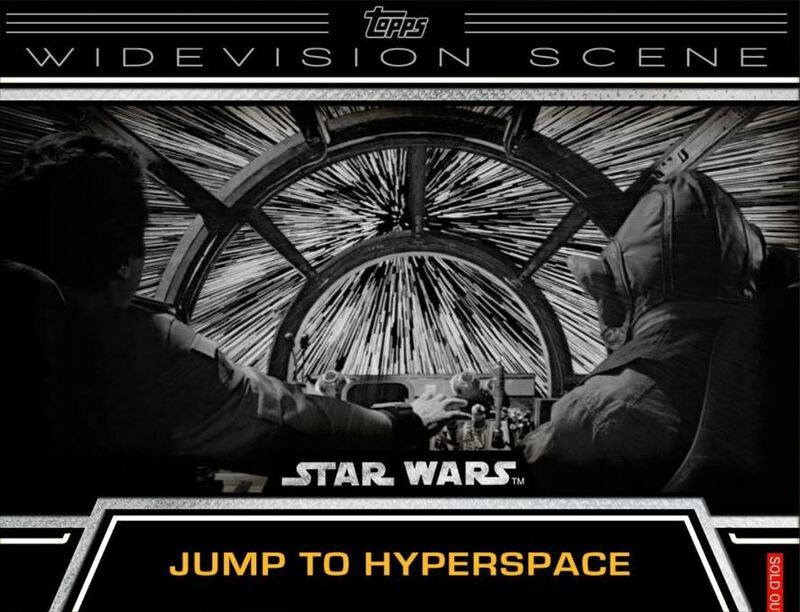 The white lines of hyperspace have been copied by so many different pop culture institutions, and its fine with me that this is the place Topps decided to feature it. Great looking card. The only reason I ranked the cool factor where it is? Looks like this was when Lando was flying the Millenium Falcon, not Han and Chewy. Takes it down a notch for me. This was an unusual situation. They accidentally gave the Topps Choice award card to all the people who had the widevision set by mistake. Obviously they had to correct the situation and gave out this card plus 10k coins as a sorry. It relatively diluted the market with these, making the award 1300 plus instead of 600 plus, but its good trade bait either way. Would have been much better to do a new card, but I know that takes some time to create and get approvals. I get that the cartoons are part of the Star Wars Universe, and there are people in the app that appreciate them as something worth having as a part of Card Trader. I definitely believe they have their place. That being said, I wasnt excited about this card. 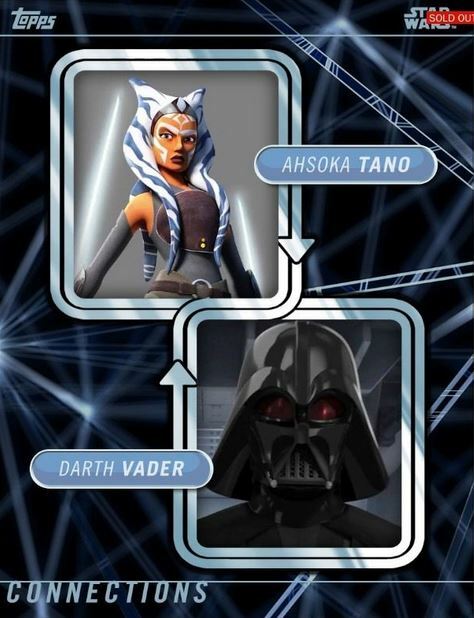 I wanted to see a Luke / Vader card or even a Sidious / Vader card, but not a card that we pretty much already had once. There were a few issues on communication with this card, as mentioned above, but it looks like it eventually got to the right people. If you remember back, there was initial communication issues as well, as it wasnt originally labeled as a marathon. Either way, I think a Gold Variant works here, as Topps Choice is something that is akin to Editor’s Choice in the other apps. I dont think many were unhappy with it, and the card looks cool. This card just hit the sheet this morning, and when I saw it, it definitely struck a chord with my nostalgic connection to this universe. This video game was one of the first to be tied to a movie, and has led to many hundreds just like it. From what I remember, this game was literally impossible, and didnt exactly generate a great response from the kids that played it. Regardless, its pretty valuable if you have it mint in box, and that is perfect for this series. Overall, I think that the most important of the sets got everything right, which was probably the most important thing. If Vintage’s award card was a dud, it would have really put a big damper on the set. Glad they were able to get that done the right way. As for everything else, this was a bit rough around the edges, but it will work eventually. This has been pointed out on Reddit already, but as cool as the GM card looks, whether accurately assumed or not, somebody apparently didn’t know what they were seeing at Topps. 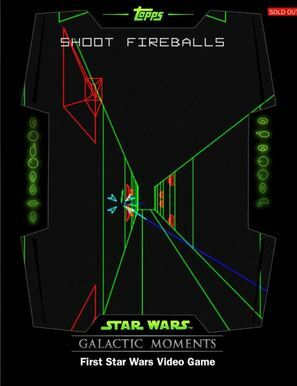 The front of the card is the vector graphics 1983 Star Wars arcade cabinet game, and the rear of the card talks about the 1982 Parker Brother ESB game for the Atari 2600, which indeed gets the “First!” label. I think the card art should still be the Arcade game, and the text on the back can be changed to talk about both games. Also, just release a little bit ago was the 1-10 Bounty Award: a very non-frozen, much-reclined Han Solo with a “I just shot Greedo in the junk under the table” look on his face.